« Magical Ingredients – At What Cost? 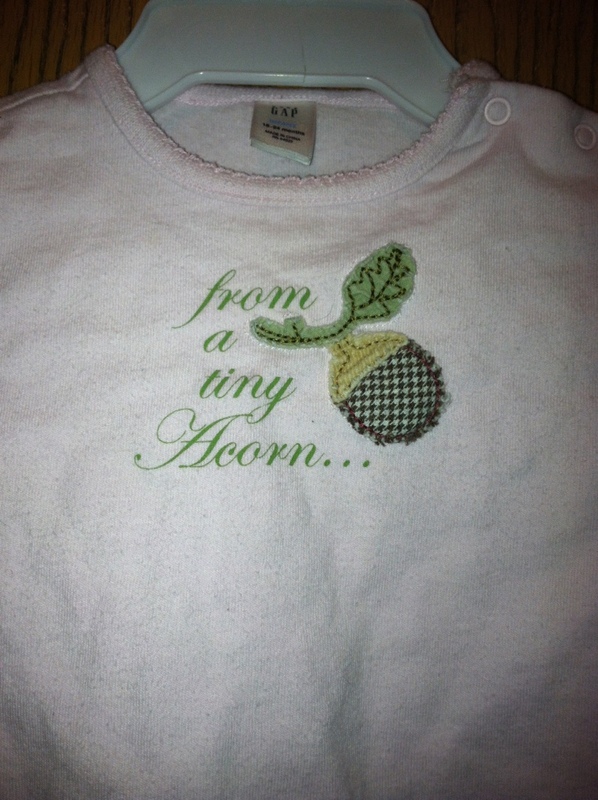 I browsed some garage sales yesterday and just couldn’t pass up this adorable and very Druidic shirt. She won’t be able to wear it for several months, but for 50¢ you can’t go wrong! It’s already washed and ready for storage. Go me! Yeah! We got so many clothes for the shower that I’m not worried about her infant months. I told hubby I would only buy clothing at garage sales if it really jumped out at me – like this! And it’s the first item we have for her when she’s 18-24 months. So cute! i love going yard sale hoppin. I hope June has lots of sunny weather and yard sales! I plan on putting some money aside so I can go. I wish this came in my size…. Great way to invest for the future. Yard sales and their equivalent are a treasure house of finds.